Dorothy experiments with feminine sin on "The Wicked Ones"
LA based rock group Dorothy is exactly what I love about female fronted rock music: Dorothy's vocals have a throaty, raspy growl that rips ..
Australia based DJ and producer tyDi just released his new LP Redefined on September 30th and in our highlighted track “Redefined (feat. .. I'm not sure about everyone else, but the last few days have been particularly draining. Maybe it's just end-of-summer lethargy, but all I know ..
Clifflight continues to tell their story on new track "Morning Light"
We’ve been following indie electro pop Clifflight’s rapid rise in the industry over the past year since the release of their Tryst EP, and one thing ..
On Wednesday, Allen Stone dropped his second self-released album. By Thursday, on both Spotify and iTunes combined, I'd listened to the album .. 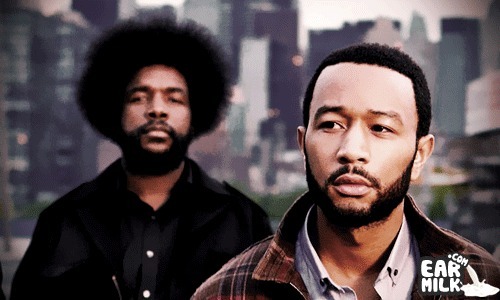 Billboard has done a cover story on the collaboration between John Legend and The Roots. The album is entitled Wake Up! which drops on September ..